Neymar hopes to return within a month. The Brazil star has given great news to Brazil and PSG supporters. He told he hoping to return to the field within a month. PSG also confirmed that the Brazilian forward was quick to return to the practice. 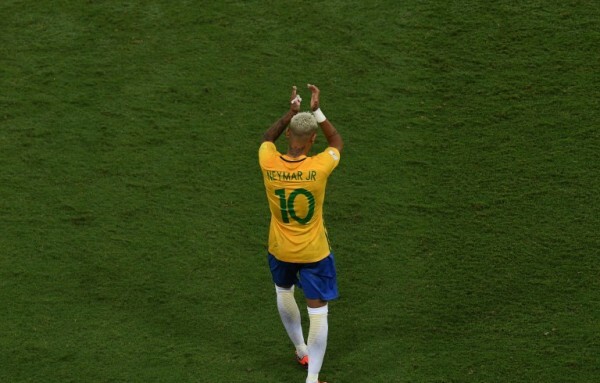 When Neymar told the news to the Brazil supporters, the cloud turn away from their over the head. Because they are dreaming around the star for the World Cup to be held in Russia on 14th June. So it was scaring with his come round. Because he bring a leading role for the nation. Without him the World Cup will be meaningless for the fans. In February, Neymar’s fifth-leg of the Metatarsal broke in a match against Marseille in the leg-on league. After the surgery, the world’s most expensive footballer is in the process of rehabilitation. Many thought that due to the injury, the PSG star could not play in the WC championship. Neymar himself told on TV Globo on the question of possible time to return to the field, one month’s call. On his award he is still one month left. The forward star also added that he is doing well. Everything is as good as possible. Dr. Rodrigo Lasmar Reported about his injury, he also confirmed that Neymar’s injury has improved. He can now start the rehabilitation process in her right ankle and start walking slowly. It is also confirmed from the doctor that the striker will determine the speed of his recovery in the next 10 days, without any restrictions, the start date of his practice. With that news once again the Neymar fans started to see their incomplete dream of winning WC trophy. The most biggest football tournament very close to start. And it is expected before the championship the winger will back to the team. Without the star, Brazil win over Germany. It’s very exciting for the side. But the coach clearly proclaimed that no one could take over the place of the forward star. It is very important the team he back soon and join the side. However, the injury of the forward was not so bad. Many things with that he will get the chance of fresh start in the Russia World Cup.